Would you recommend Layout by Instagram to a friend? It's about time they natively supported this. I'm hopeful they will do something about the text/quote posts next, and maybe crack down on re-gramming too. Congrats on the launch, @mikeyk. 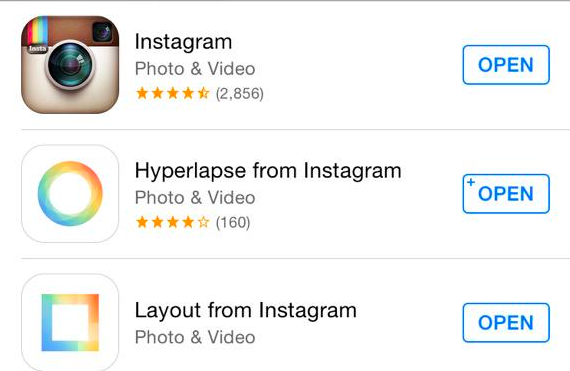 Why did you decide to build this as a separate app vs. bundling into Instagram? @rrhoover mostly to keep our main app production flow as simple as possible, and we can learn more quickly with it as a separate app. @rrhoover @mikeyk But you guys do have a lot of data right? Obviously there are a lot of people who post collages etc. - eg you can validate if a new "feature" like collages is a good idea to put in the main app? @mikeyk that makes a lot of sense. Although you're a mobile-focused company, I'm curious if you use the web to test new ideas and if you have plans to create more web-centric photo experiences. @rrhoover @mikeyk @bramk I feel like even if it's what people want, it is not necessarily what's best for the experience. I don't really want to scroll through even smaller photos then are already served on my phone. I think that for Instagram, collages are behavior they would like to discourage, but this new app is them saying that as long as people would be going to find a separate app anyway, might as well be ours. mannn.....the UX is so natural. everything works exactly like you think / wish it would. legit AF.